Luxury Swiss watchmaker Jaquet Droz has created a new version of its iconic Bird Repeater automaton exclusively for Dubai Shopping Festival. The new model is inspired by the falcon, the national symbol of the United Arab Emirates, and draws on 280 years of the Jaquet Droz Art of Astonishment. The Bird Repeater Falcon is a one-of-a-kind piece and was unveiled at Jaquet Droz?s branch in The Dubai Mall on Wednesday, January 30. 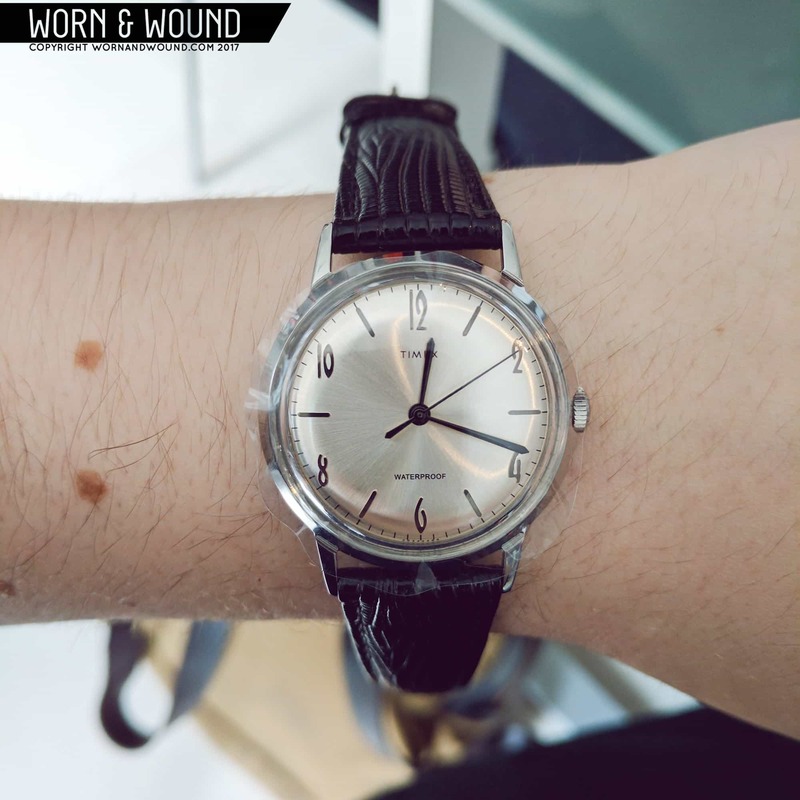 The timepiece features a 47mm white gold case that presents a desert scene in mother-of-pearl. The highlight of the watch are the Falcons that are engraved and painted entirely by hand. At the foreground of the desert scene is the yellow and red gold nest with two falcons and two chicks. The scene depicted on the dial is that of the millennia-old art of falconry, a tradition listed as UNESCO intangible heritage since 2012. The complex automaton comes to life to the sound of the minute repeater. One bird bends down to deliver a beakful of food to its baby, while the other spreads its wings, revealing delicate nuances of color. A chick hatches from an egg inside the nest. 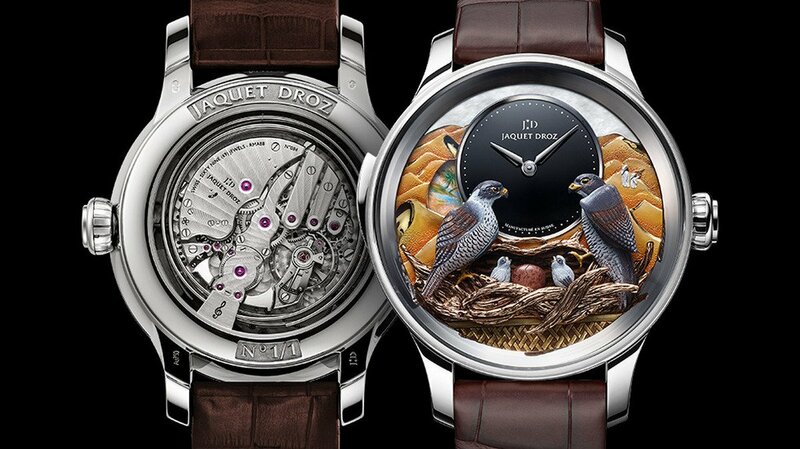 In the background on the dunes, Jaquet Droz depicts two falconers ? father and son ? in white djellaba robe. On the left side of the dial, a mother-of-pearl disk hovers over the dunes like a mirage with a painted oasis is which is barely perceptible. “Jaquet Droz timepieces have always been inspired by nature and Bedouin culture, which is a very great source of inspiration, for painting and engraving, as well as for our automata, which attempts to replicate the movements of nature. The millennia-old art of falconry, a central element of the identity of the United Arab Emirates, also inspires us to realise this exceptional piece.,” said Christian Lattmann, CEO of Jaquet Droz. As mentioned before, the Bird Repeater Falcon is a one-of-a-kind piece and its priced at two million dirhams (about $545,000). The post Jaquet Droz has created a one of its kind watch worth $550k that pays tribute to the UAE culture appeared first on Luxurylaunches.